Most history about buildings is written about large and interesting houses, churches, castles, shops and other places. However, sometimes the history of small, remote and obscure dwellings can be just as intriguing. One of my favourite nearby places for a short walk is Cors Bodeilio. This National Nature Reserve and Site of Special Scientific Interest lies between Pentraeth and Talwrn. It is a nationally important nature site as it is an uncommon lime-rich fenland supporting rare plant life, including a variety of sedges, rushes and reeds, as well as a number of orchid species. The pools contain medicinal leeches, and many species of rare flies, aquatic beetles and moths make their home throughout the area. 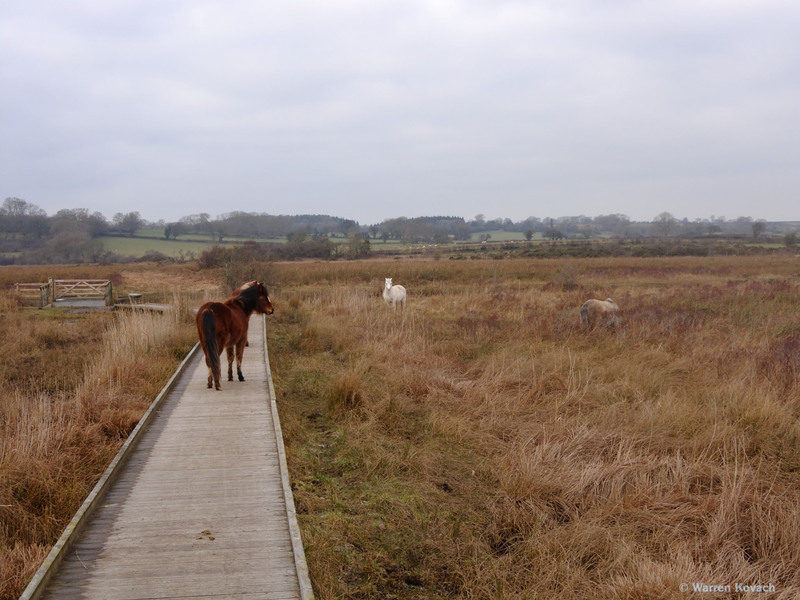 It is also the home of some Welsh Mountain ponies, whose grazing helps maintain the fenland. The boardwalk through the marsh eventually takes you to a slightly raised and dry spot. Disappearing into the trees at the edge of a meadow is a long abandoned house. It is named on the maps as Ynys. Welsh for “island”, Ynys might seem an odd name for a house, but closer inspection of the maps and surrounding topography shows that it is indeed an island of dry land in the middle of marshes. 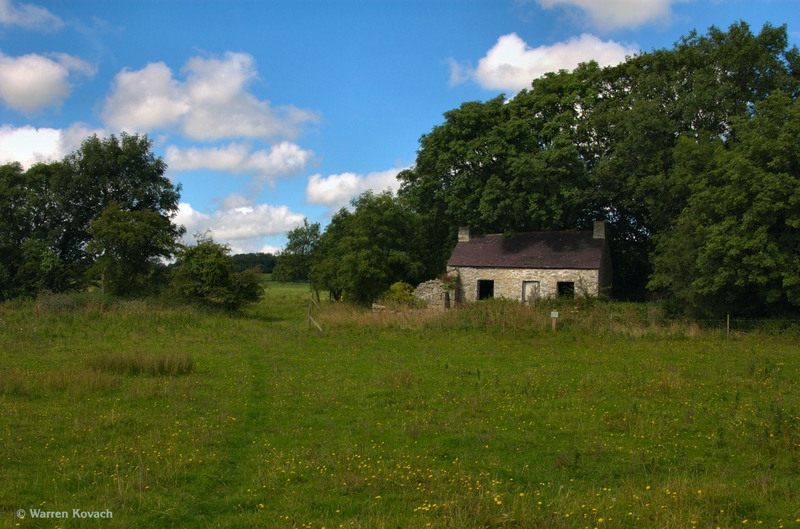 The house and surrounding nature reserve are now owned by Natural Resources Wales, but the mid 19th century tithe maps that have been digitised by the Cynefin project show that this, and much of the land around it, was ultimately owned by the Right Honourable Lord Vivian of the Plas Gwyn estate in Pentraeth. It was leased to Evan Rice Thomas as part of the nearby Bodeilio estate. 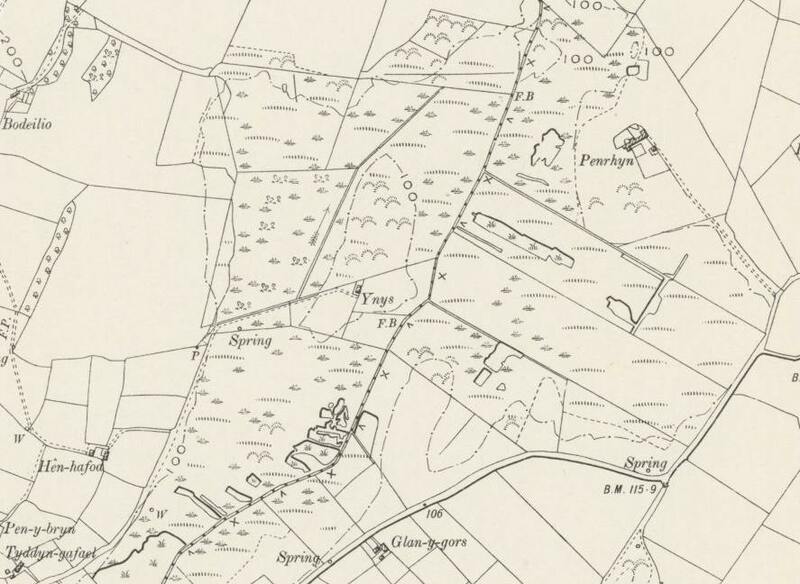 The parcel of land called Ynys is listed in the 1841 tithe apportionments books as just 9 acres of pasture land, with no hint of there being a house, and indeed no house is shown on the map itself. Also, Ynys does not appear in 1841 or 1851 censuses, but it is listed in 1861, suggesting it was built sometime in the 1850s. The first recorded tenants are Thomas Hughes and his family, wife Jane and sons William and Owen. As might be expected in a small cottage in the middle of pastures and marshlands, Thomas was an agricultural labourer, as was his 14 year old son William. Eight year old Owen was not yet old enough to be working and was listed as a scholar, so was attending school. In the 1871 census the house name Ynys isn’t found in this part of the Llanddyfnan parish. But, among the houses nearby to Ynys is one called “California”, occupied by one Thomas Hughes. The name California doesn’t appear in any other censuses in this area. Did Thomas decide to start calling the house California instead, for some reason? This Thomas Hughes is listed as widowed, a farmer of 8 acres and a labourer, and living with his 13 year old son John and a servant named Elizabeth Owen. By 1881 the house is again listed as Ynys, and Thomas had remarried to a much younger woman, Elizabeth, who was 28 to his 61 years. They had been busy, producing five children aged 1-9 by this time. By 1891 the tenancy of Ynys had changed hands to William Williams, and he was living there with his wife Ann and daughter Margaret, who was a domestic servant. William was listed as a labourer in this census, but in the previous census in 1881, when he was living at nearby Heulog, he was a shoemaker. He again gave his occupation as shoemaker in 1901, when he is listed as living with his wife Ann and son William. Curiously, his son William is listed as a copper miner. Copper mining on Anglesey usually means Parys Mountain, but that is a long way from Ynys, probably about a four hour walk. Also, by this time the copper there was almost worked out, and there were just 141 copper miners, down from thousands at its height. As he was still single at the age of 33, perhaps he usually lived near the mine, but happened to be at home visiting his parents on census day. What I’ve so far been able to discover about the history of Ynys ends here. It is not listed in the 1911 census. Perhaps it had been abandoned by then, although usually even unoccupied houses will be listed in the census. Maybe the census-taker missed this remote house on his route through the parish. 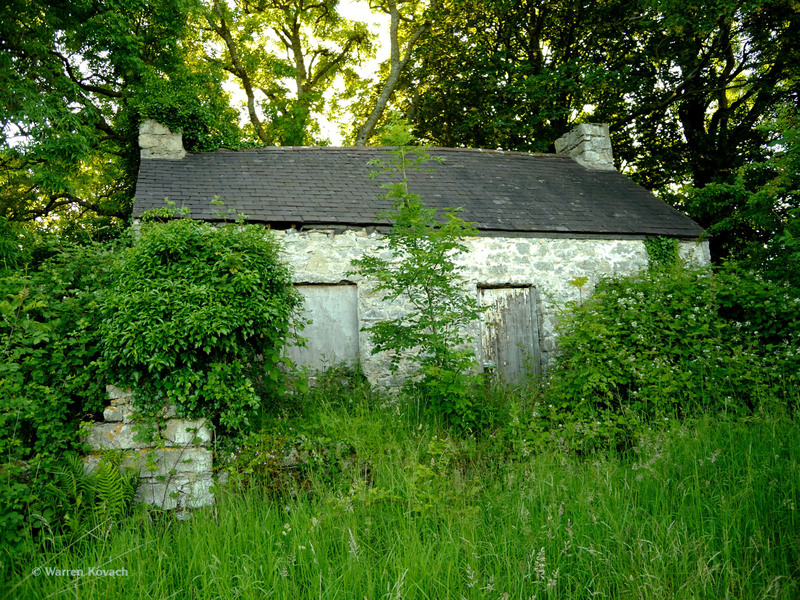 As the house disappears into the vegetation, its abandonment becomes poignant. What was it like in the late 19th century when occupied by the Hughes and Williams families? Did Thomas’ five children play games in the meadow and go searching for frogs in the surrounding bogs? My favourite time to visit is in the autumn, when the plum trees behind the house are bearing delicious fruit. Perhaps these were planted by Thomas Hughes. Did they also have a garden patch somewhere around the house? In the absence of a time machine I can only guess. How interesting,this summer I stayed in a holiday let in Nebo and I front of our cottage was a tiny whitewashed cottage that used to belong to a copper miner and his family in th early 1800s. The cottage is listed,and across the road from it there is a well.